At least three artists share this name: 1) A southern rap artist from the northside of Houston, TX, born January 6, 1981. Mike Jones has become well-known for his unique repetition of his own name throughout his songs. Many of his songs contain the phrases "Who is Mike Jones?" or "Mike Jones!" His major promotional gimmick is to sell and hand out shirts with his cell phone number on them (athletic department-style shirts reading "Property of Mike Jones"), as well as shouting out the number throughout his mixtapes and albums, encouraging fans to call him on his Motorola phone. 1) A southern rap artist from the northside of Houston, TX, born January 6, 1981. Mike Jones has become well-known for his unique repetition of his own name throughout his songs. Many of his songs contain the phrases "Who is Mike Jones?" or "Mike Jones!" His major promotional gimmick is to sell and hand out shirts with his cell phone number on them (athletic department-style shirts reading "Property of Mike Jones"), as well as shouting out the number throughout his mixtapes and albums, encouraging fans to call him on his Motorola phone. Jones is known for recording in the "chopped & screwed" style popularized by DJ Screw, also of Houston. The slowed-down audio aesthetic supposedly mimics the effect of "sippin' sizzurp," that is, cough syrup containing codeine. Most followers of the chopped & screwed style claim that it has outgrown its drug-related roots. Jones' trademark technique is to take a line from one of his songs and use it as a chorus in another, or sometimes even in the same song, screwing, chopping and repeating it (for example, the chorus to "Back Then" is sampled from the track "Still Tippin"). Jones has used repetition of certain words and phrases extensively in his songs. 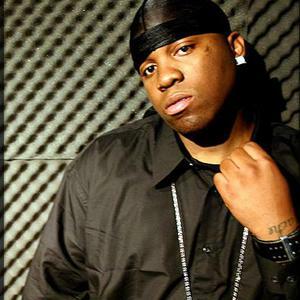 An example of this can be found in songs such as Back Then when he constantly repeats "Mike Jones" and "Who is Mike Jones." As a result, he has come under intense scrutiny or criticism from fellow rappers in his native Houston such as rappers Chamillionaire and Lil' Flip who have accused Mike Jones of copying their slang or criticized his aforementioned rapping style. 3) An experimental tape artist from Cardiff, Wales. Mike Jones ran the CTOANR cassette tape label in the early eighties which featured the likes of Artists such as The Stripey Zebras's, Instant Automatons and other independent artists. Mike was also a recording artist and played in The Chromosomes, Effigies (UK) and released solo work. Recordings from Mike and The Chromosomes were released in 2008 by the American Label Hyped2Death. The album Messthetics: Greatest Hiss features "Reckless Policies" from Mikes 1981 solo Album "Pretty Flowers", "Hi Fi Know How" by The Chromosomes plus a Cardiff based radio competition where his band finished third (out of three). Since 1985 Mike has played in the punk/techno/C86 band named Otalgia (which is a medical term for earache).